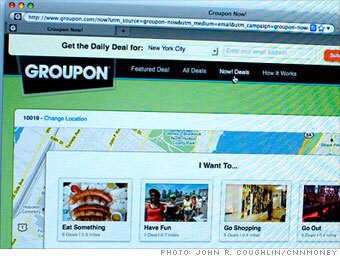 Groupon's IPO paperwork offered the first public glimpse into the financials of a company eye-popping growth: In an August filing, Groupon reported its revenue for the first six months of 2011 at $1.5 billion, up from a grand total of $94,000 just three years earlier. Turns out Groupon was being extremely generous in its definition of "revenue." If Groupon sells a coupon for $10, it would typically pass $5 of that on to the merchant -- but Groupon had previously been reporting all $10 as its own revenue. The SEC smacked Groupon and called that a no-no. In September, Groupon submitted a revised filing to "correct for an error" -- namely, including in its revenue the cash it has to hand back to merchants for their share of the coupons Groupon sells. It's been a hot and cold year for the stock market, but these Fortune 500 companies managed to float to the top.